Nothing can revitalize a space or vehicle like making the decision to re-upholster. All New Upholstery is a company that provides its customers with custom upholstery and electronic installation services. 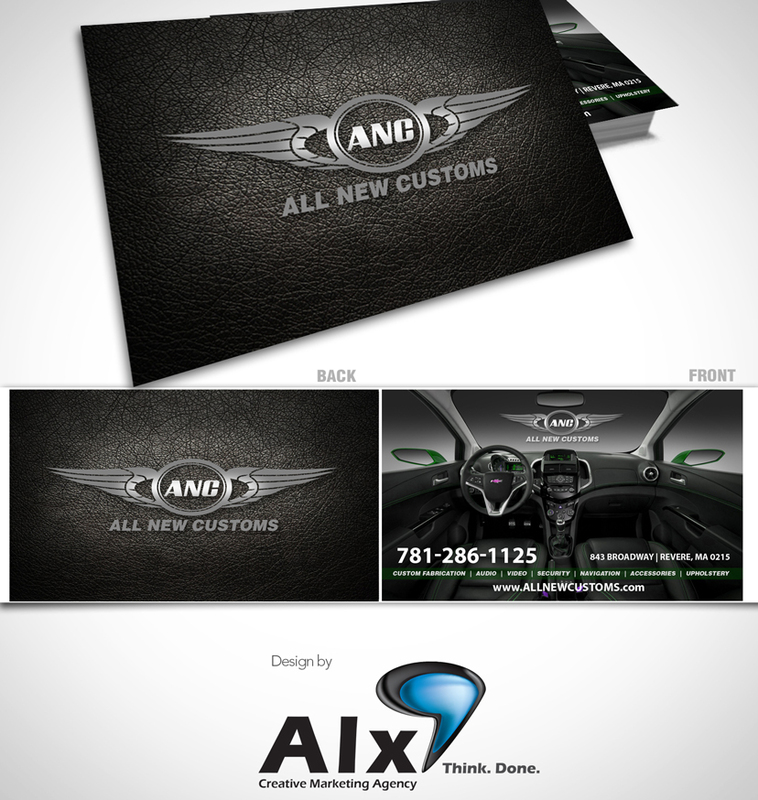 Due to All New Upholstery expansion of services, they needed a marketing company that would provide them with all the materials to advertise their new business venture. Our creative team stepped right up to plate. All New Upholstery needed a platform to show the transformative work they do, schedule appointments with clients, and communicate the many services they offer. 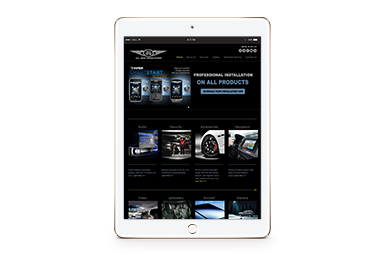 Using a custom designed form, we turn website visitors into customers by giving the customer the ability to book an appointment in as little as 2 minutes. 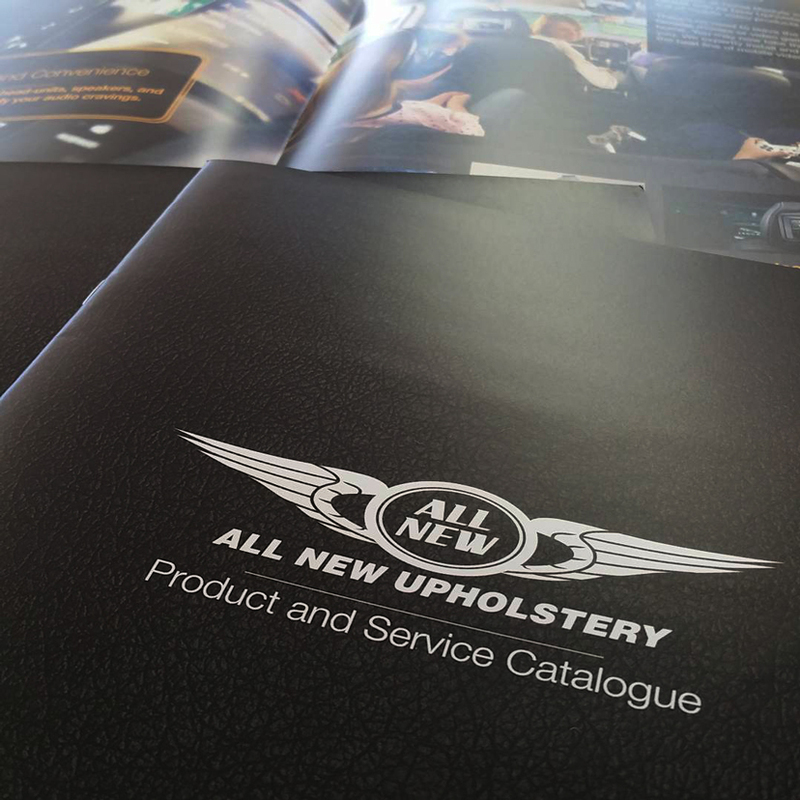 With a plethora of fresh services, All New Upholstery wanted a booklet that would showcase their new services. 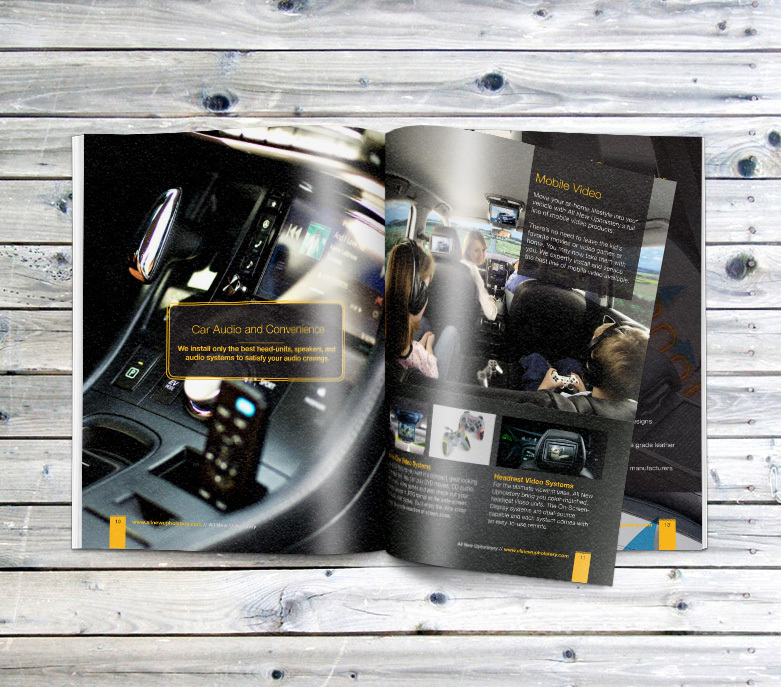 To match the dark and sophisticated branding style, we created a sleek and glossy booklet with a dark composition. 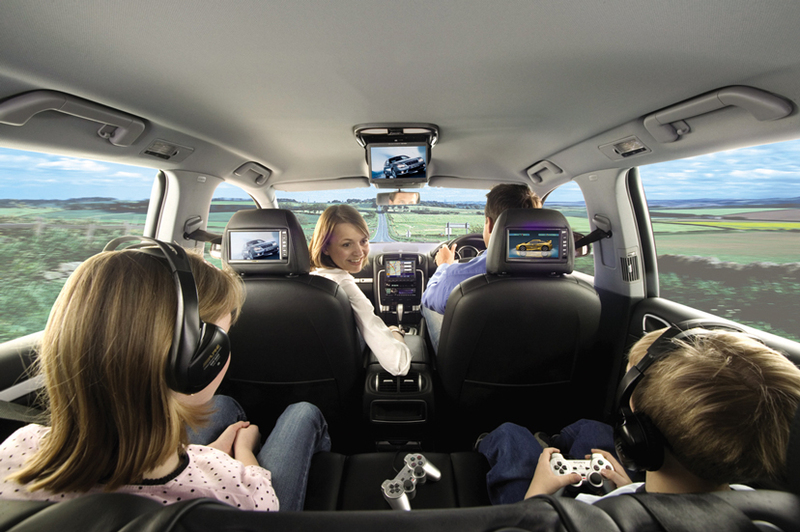 In the final product, the booklet expressed the feeling of being inside a dark luxury vehicle. To create a physical effect to the cards without the cost of expensive printing materials, we used a leather texture on the front face of the business cards. Using a heated vinyl printing technique we created T-shirts with a vertical logo design.